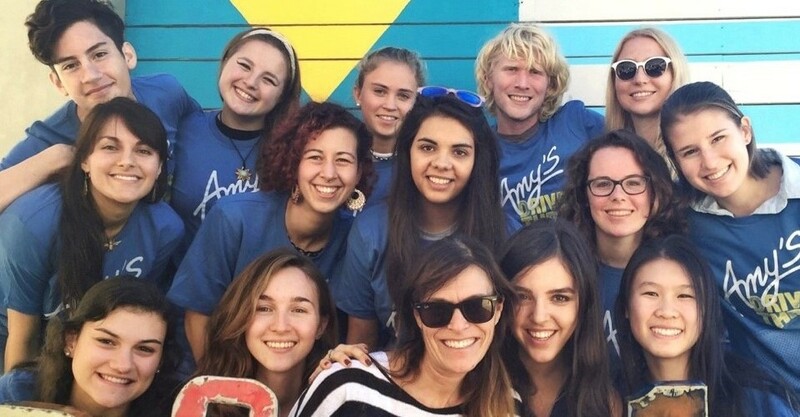 Judi Shils (striped shirt), daughter Erin & Project Green Challenge 2015 Finalists. 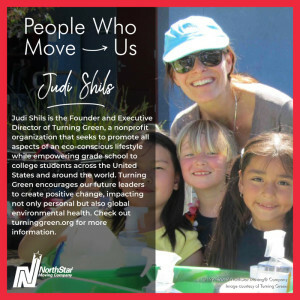 Judi Shils is the Founder and Executive Director of Turning Green, a nonprofit organization that seeks to promote all aspects of an eco-conscious lifestyle while empowering grade school through college students across the United States and around the world. Supported by an impressive list of partners and strong social media following, Turning Green encourages our future leaders to create positive change, impacting not only personal but also global environmental health. There were significant events that led to the current version of Turning Green. It all began in 1989 when after 25 years as an Emmy Award-winning television producer with ABC Sports, Fox and Oxygen in New York and Los Angeles, Judi moved to Northern California to get married and take a job working at PM Magazine. Judi’s life continued to evolve when she discovered she was going to become a mother. Early in her pregnancy with her soon-to-be daughter, Judi read Diet For A Poisoned Planet by David Steinman, the groundbreaking book on how to choose safe, non-toxic food products. This seminal moment prompted her to completely rethink her lifestyle. Within 24 hours, she switched out all of her body products, food items and cleaning supplies to organic. She was determined to bring her daughter into a world that was perfectly curated to support her health and well-being. Another transformative moment for Judi occurred when she attended a community meeting with a friend who had just completed breast cancer treatments. They were shocked to learn that the breast cancer rates in Marin County had risen 60% in just eight years. There was also a great lack of answers and information. Judi, determined to take action, founded Search for the Cause. In November 2002, she organized 2,000 volunteers to walk door-to-door to about 50,000 households in her community, talking about cancer rates and causes with residents and collecting information. About 25% of those volunteers were high school students, so ready to affect change in their community. The press covering the event asked Judi why she was spearheading such an effort when she was not personally affected by breast cancer. A few weeks later her father was diagnosed with lung cancer and this journey became her life’s work. .
Judi & team from Conscious Kitchen Peres Elementary. After seeing the committed high schoolers during the door-to-door campaign, Judi wanted to continue to empower them. Encouraged by her 12-year-old daughter Erin, who was beginning to use beauty and personal care products, together they started Teens for Safe Cosmetics around their kitchen table. They wanted to help girls understand what was in their daily use products, many of which contained toxic chemicals. The group transformed into Teens Turning Green in 2008 as the mission evolved to leading an all-encompassing eco-lifestyle. In 2015, the organization’s 10 year anniversary, the name was shortened to the current Turning Green since many participants were no longer teens, having moved on to college. Project Green Challenge, which provides students with mentorship, advocacy and leadership skills as they individually and collectively take on 30 days of environmentally-themed challenges with eco-conscious living and mindful consumption. Conscious College Road Tour, an interactive event that encourages students to question conventional practices and actions, and work together effectively to develop sustainability not only in their lives, but on their campuses. 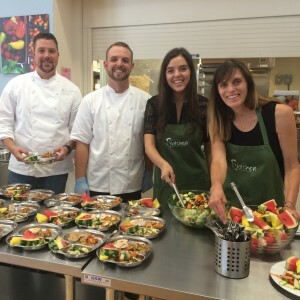 Conscious Kitchen, which has implemented successful solutions for the scratch-cooking of healthier foods at schools, not only for the nutritional benefit of students but also to support local organic regenerative agriculture. Judi, daughter Erin & Conscious Kitchen team. 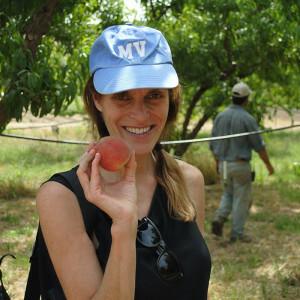 Judi has a special place in her heart for Conscious Kitchen since she believes that “access to healthy food is a right, not a privilege.” Marin County is home to many farms that grow organic food, however Judi noticed that local children in their schools were not benefiting from this readily available asset. The fact is most school kitchens just ‘heat-and-serve’ pre-packaged, processed food. Her idea was to put chefs in kitchens to prepare meals that prioritized fresh, local, organic food for $2.25 or less per child. The Executive Chef at Cavallo Point Lodge in Sausalito and other community partners supported her vision. She approached a local school district and got permission to serve freshly prepared food for a demonstration week on a campus where 95% of children live below poverty level and qualify for free and/or reduced government-subsidized school meals. The students loved the food, the program was a success and continued from there. Judi at a farmer’s market. 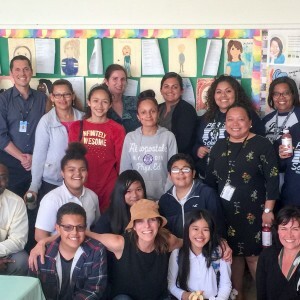 Now in its sixth year, Judi is determined that every school in the state of California has access to freshly prepared organic food purchased within school budgets. Conscious Kitchen is gathering data in partnership with world-class scientists and researchers at institutions including UC San Francisco, UC San Diego, and UC Berkeley School of Public Health to present to school boards and superintendents as irrefutable evidence that this paradigm shift can and must happen. The research is focused on health, education, climate change and workforce – while addressing equity, access, chronic health issues, and a food system that is massively broken. Judi cherishes her work and the inspiration from the incredible students she works with at Turning Green. 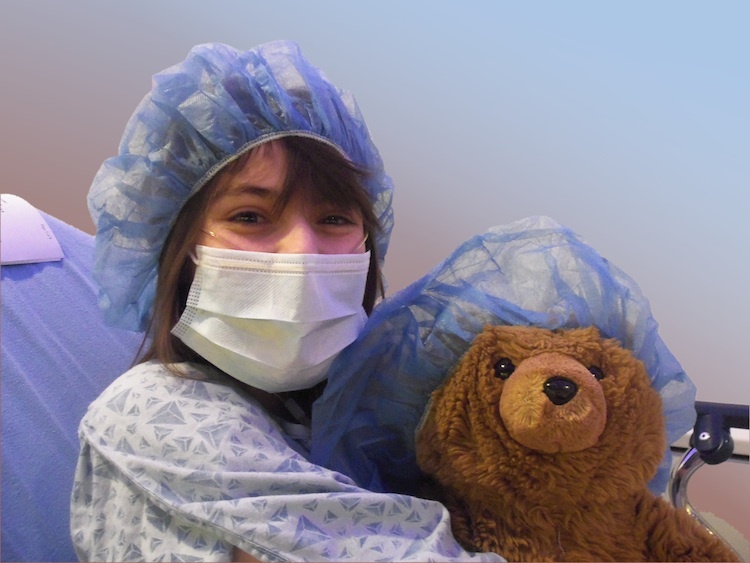 One story that makes her so proud is about Megan, one of the organization’s first interns. While a student at Ohio State University in 2014, Megan signed up for Project Green Challenge and through her involvement, discovered that she wanted to major in Environmental Studies. Throughout her schooling, she interned at Turning Green while looking forward to becoming an organic farmer in Northern California once she finished college. However, after the current administration took office in 2016, Megan realized that focusing on policy was one of the most important things she could do for her generation and the planet. Megan spent the last couple of years at Vermont Law School followed by an internship with Senator Bernie Sanders. The opportunity to mentor these incredible future leaders is the greatest gift of this work for Judi. Judi & Project Green Challenge 2014 Finalists. According to Judi, this generation is navigating through the challenges of our political landscape and learning to fight for what they believe in as they prepare to take their place in various job sectors valuing and prioritizing a healthy, just and thriving planet. Judi’s goals for Turning Green include informing, inspiring and mobilizing youth globally to help them realize their immense power, strength and vision as catalysts for meaningful, purposeful and fearless change making. Turning Green has worked globally with over 350,000 students on more than 4,000 campuses, reaching more than 23.1 million through social media platforms, with 55 business, non-profit and media partners to help them change the world. Students can apply for an internship or to become a Campus Rep. Businesses and organizations can become a Partner. Anyone can make a tax-deductible financial donation. Spread the word; share this story on your social media and follow Turning Green on Facebook, Instagram, Pinterest, Twitter and YouTube. All photos via Turning Green. What do you think of Turning Green? Do you have a personal experience that prompted you to take up a cause? Feel free to share your thoughts below.